Tomorrow I join an expedition to Citifield to see the Mets play the Giants. What does it tell you, that Citifield will be the third stadium I have gone to in order to see my team play and I have outlived the previous two? I learned to play baseball in the park a block from our home in Cuba, New York. There were worn patches where the bases needed to be and we would use a stone or extra jacket or whatever was convenient to make the bases. The pitcher’s mound was really more of a hollow from over use. I remember the day when I swung at a pitch and hit Billy Rasmussen. He was standing too close to the batter’s box and got it in the jaw. He went home crying and his mother probably told him to stand further back the next time. If there were lawyers in Cuba at all, they didn’t know about suing people for accidents. 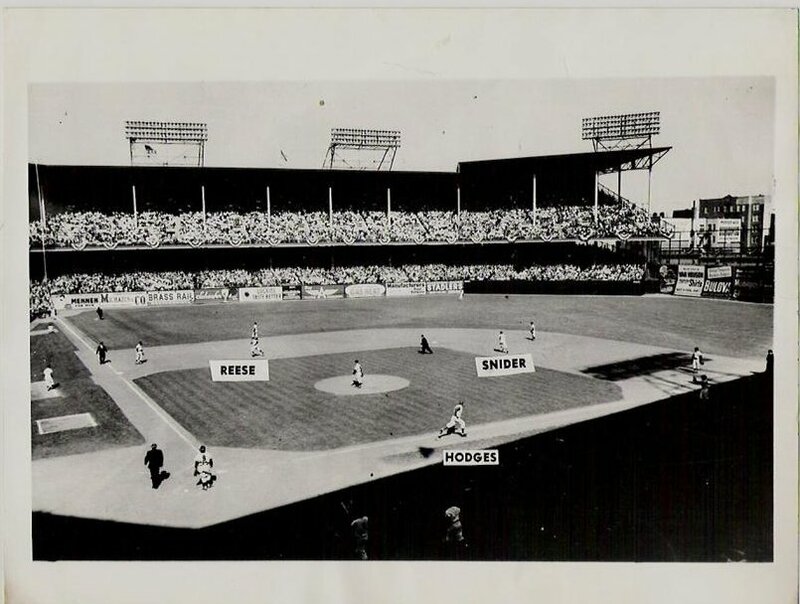 The nearest professional team was in Olean – Class D – and they were a farm team of the Brooklyn Dodgers. The Dodgers took time at the All Star Game break one year to play the Olean Oilers and I was there. It was Jackie Robinson’s first year and the Oilers were outclassed by more than a little bit. Al Gionfrido, later famous for a World Series catch, led off with a home run and it went on from there. I got autographs afterwards from such as Eddie Miksis. You don’t remember Eddie Miksis? I first went to Ebbets Field in 1947 or1948. “Preacher” Roe pitched for the Dodgers as they beat Chicago 4-2 and Gene Hermanski stole home. How many people have ever seen a major league player steal home? Fast forward to the summer of 1957. I was now in charge of a parish in Brooklyn and took an afternoon off to go alone to Ebbets Field to watch Carl Erskine (Oisk) pitch a no-hitter. How many people have ever seen a no-hitter? 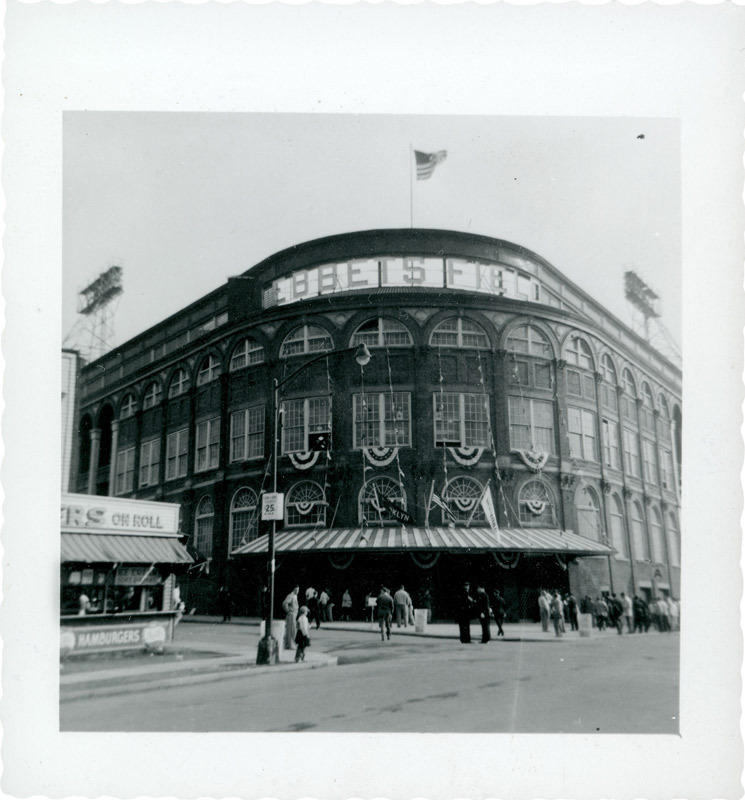 I liked Ebbets Field. There was a high wall in right field and Bedford Avenue beyond. Duke Snider made a living by hitting balls into Bedford Avenue. Fans sat on the roofs of apartment houses across the avenue to watch the proceedings. I liked Shea Stadium. The orange and blue panels on the façade gave it a certain jauntiness that contrasted nicely with the bleak pretentiousness of Yankee Stadium. Citifield? Who knows? At least the team inside it is properly unpredictable and sometimes good enough to win. Maybe someone will hit three consecutive triples and we’ll have a reason to remember it when it too goes the way of Shea Stadium and Ebbets Field. Doc and I were at Fenway last Thursday to see a rather uninspiring game. But that didn't matter. Being inside that lovely little bandbox was wonderful. We were about 25 rows up along the third-base line. The acoustics there permit one to hear the hollow chuck of the bat hitting the ball and the smack of the ball line driving into the third baseman's glove. And the great spontaneous roars of sound. A real treat made possible by a classmate from Mount Holyoke whose husband is a part owner of the Red Sox.